Today I set out to repot a few trees. This year our seasons are advancing very quickly and trees are putting on a great amount of new growth. 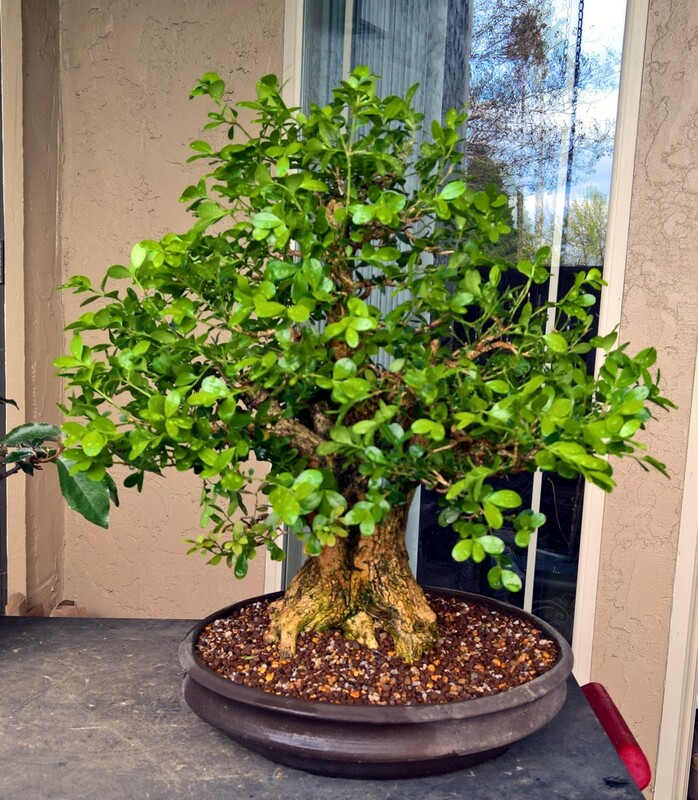 It has been above 50 degrees at night on my terrace and tropical trees are continuously moving with new buds so I have begun working on Silverberry, creeping figs, boxwood trees and many more standard trees such as junipers. Some trees are moving to new pots because the have been developing much better and can be enjoyed in smaller ornate pots. 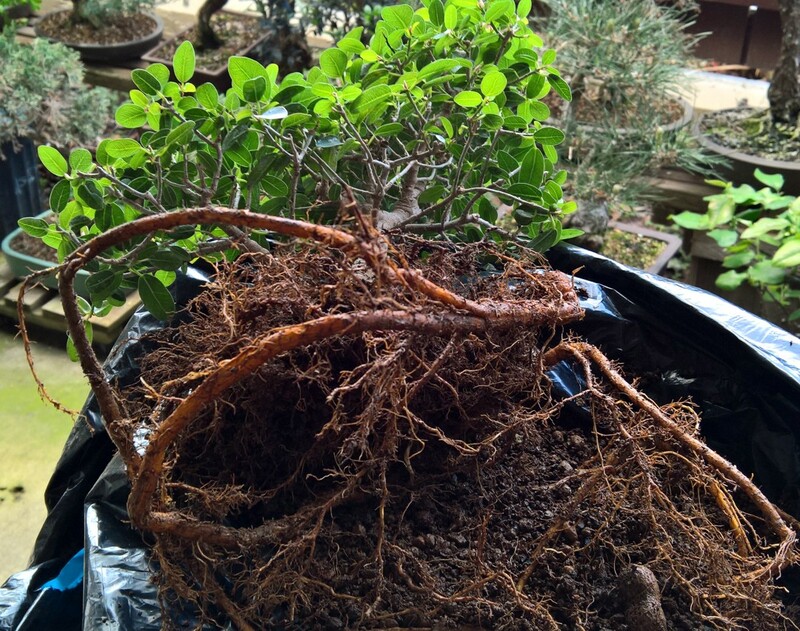 The boxwood had not been re-potted for at least 5 years and had developed a very thick root ball. 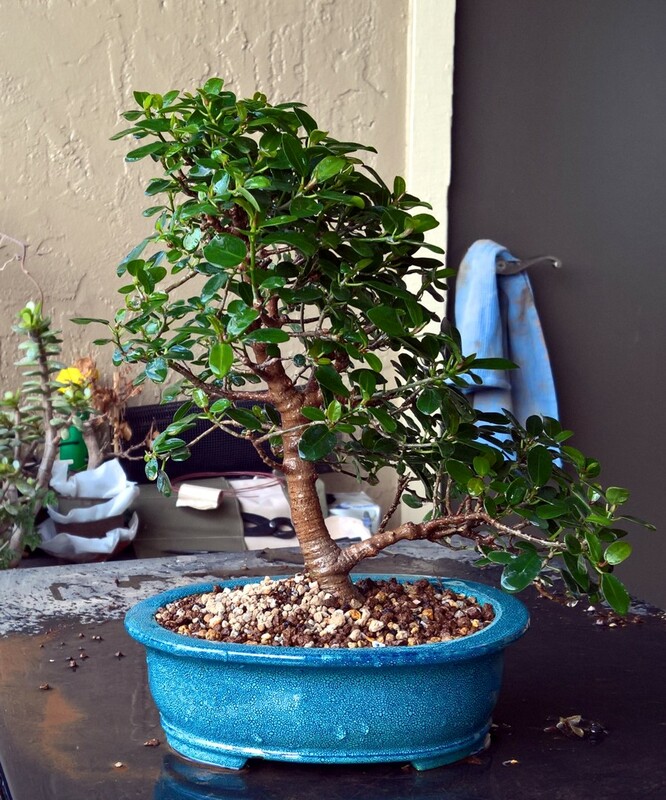 I removed most of that root ball so I could place it lower in the pot. 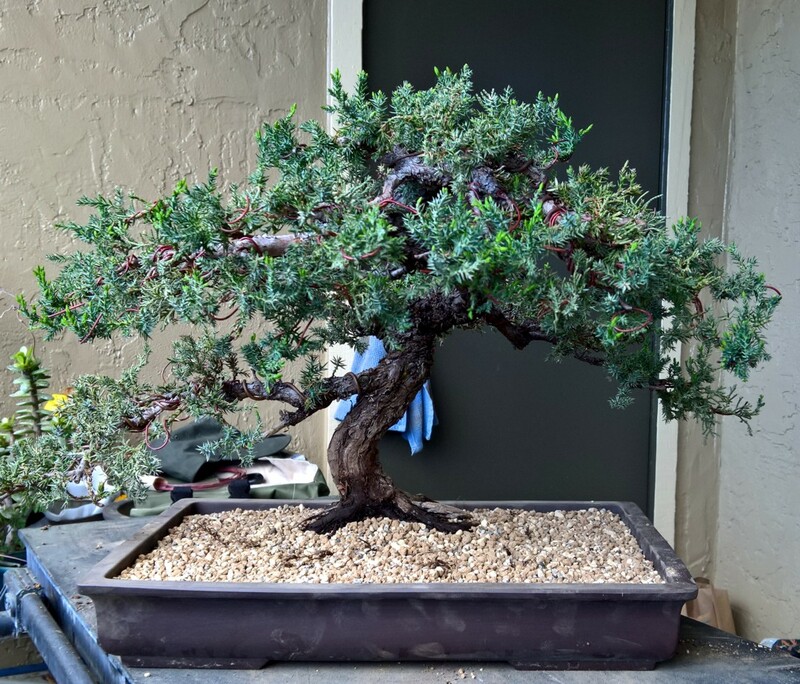 The juniper re-potting was to move it up in refinement; it had been raw material 3 years ago and it is now in a pot that it can remain in for many years. 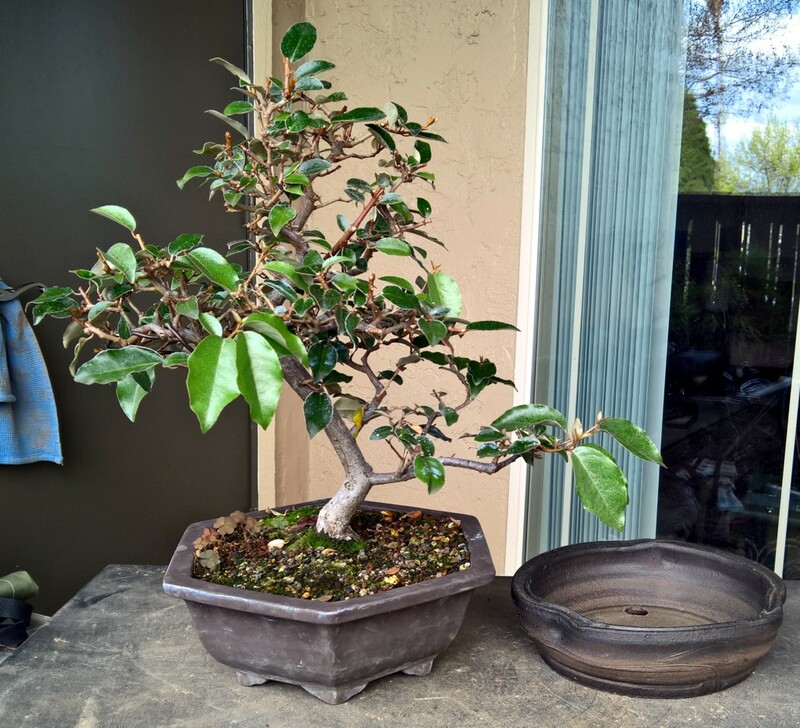 The Silverberry had been in a development pot for 5 years as well and now get a new home in a Jim Gremel pot that highlights the strength of the tree. 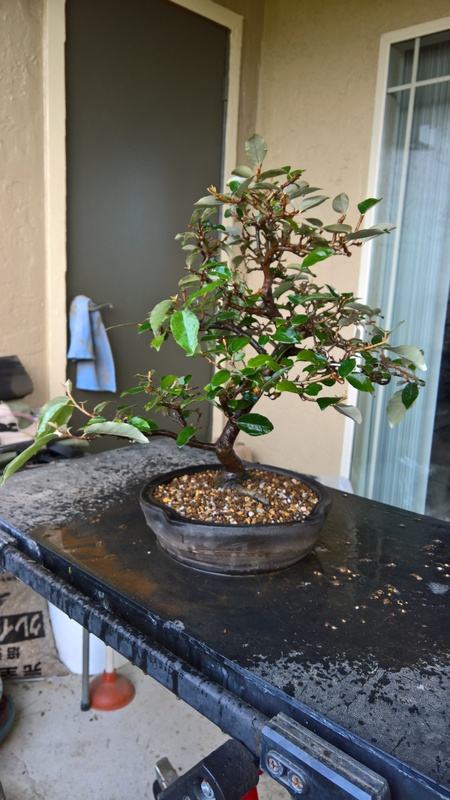 The creeping fig has been thickening up the nebari and trunk in and growing as a slant; however, since it has developed some new lower branches, I thought it time to raise it up and redevelop the tree. Tomorrow, I will start on the olives.